Check out all the latest Disc Golf custom stamps from Skulboy Designs! 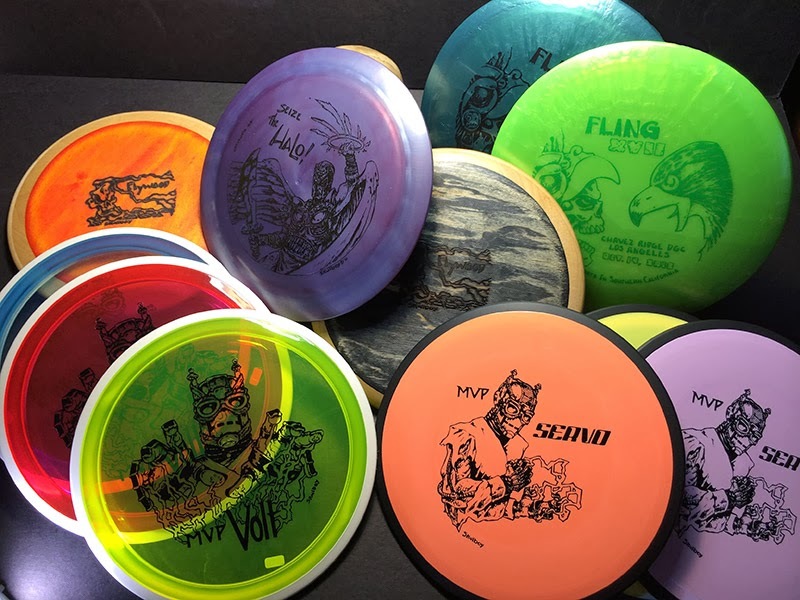 MVP Eclipse Volt with glow-in-the-dark outer rim. MVP Proton Volt at the lighter weight of 169g. Legacy Legend Line Rival with Chavez Ridge tourny stamp. New batch of hand-made wooden Flywood discs. Latitude 64 eye candy plastic Halo. Hurry, store we be offline again on Jan 4th till Spring.